Amy is an interdisciplinary researcher with an emphasis on empowerment research. Her work integrates theory, methodology, and practice from diverse disciplinary perspectives to promote rigorous and responsive evaluation. She is passionate about the importance of systems integration and facilitating interdisciplinary collaborations to advance knowledge and support vulnerable groups. 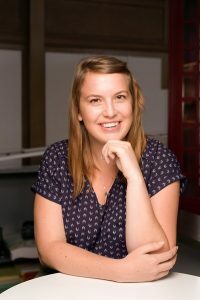 At RDA, Amy uses her mixed methods and interdisciplinary experiences to assist in evaluation and planning, as well as data collection and analysis on a variety of projects. Prior to working at RDA, Amy held faculty positions at Washington State University in both the College of Education and the College of Agricultural, Natural, and Human Resource Sciences, where she taught several courses in Human Development, including Family Policy, Adolescent Development, and Adult Development.